Order your Filofax Mini Week Per Page 2019 today from FahrneysPens.com. Fine Pens, Refills & Luxurious Gifts – great prices & fast shipping. 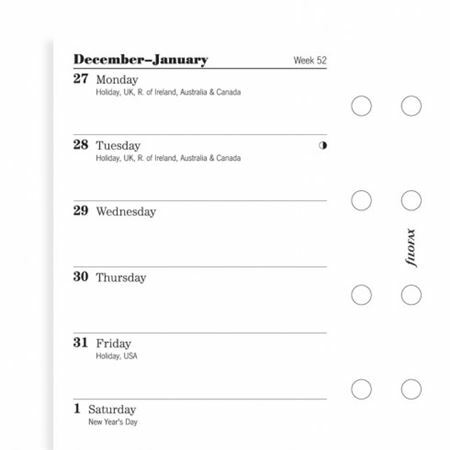 This calendar insert allows you to view an entire week on one page. Monday through Sunday.